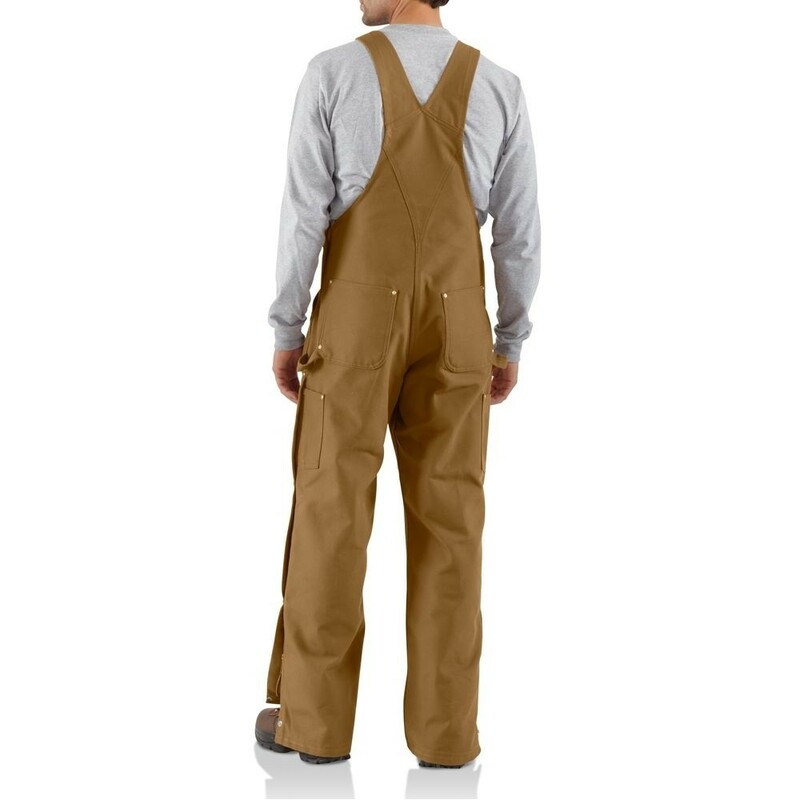 Carhartt's duck zip-to-thigh bib overall is unlined to span the seasons. 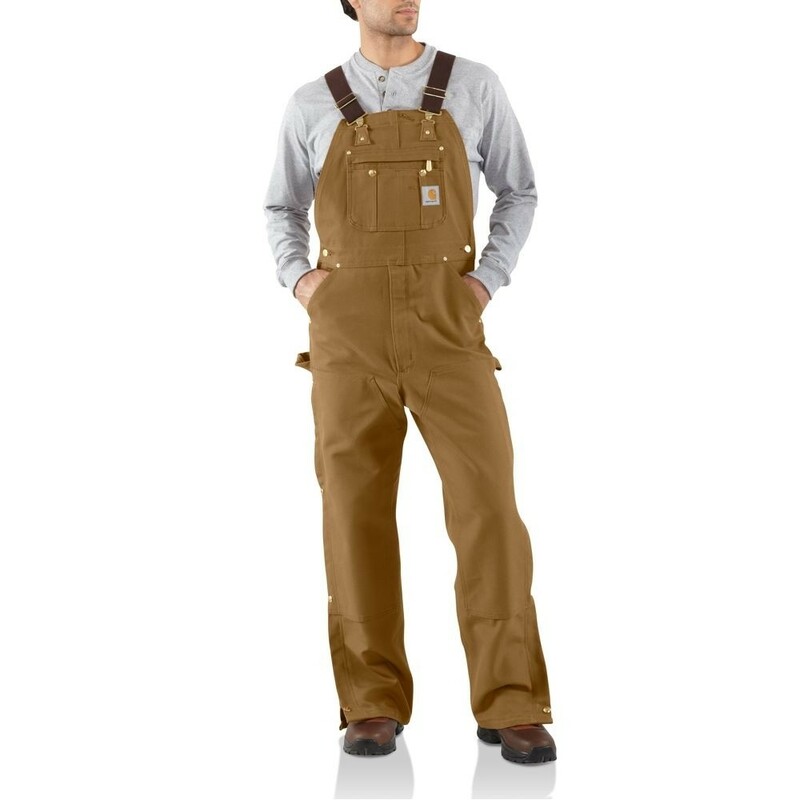 Made of 12-ounce, firm-hand, 100% cotton duck, it features ankle-to-thigh leg zippers for easy on/off. 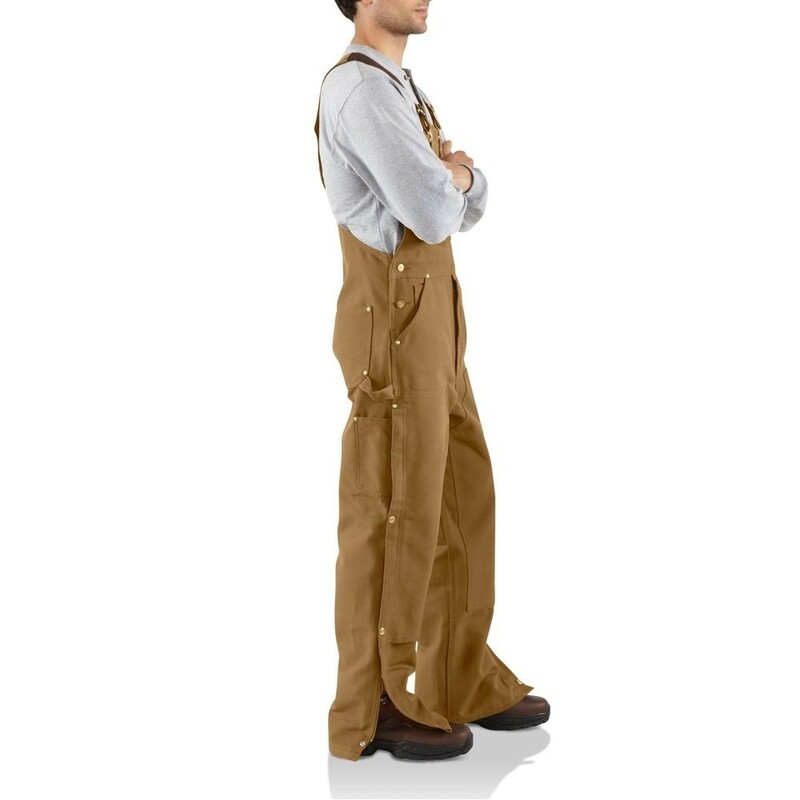 It also has chap-style double front with cleanout bottoms that can accommodate knee pads, right and left hammer loops, and front elastic suspenders. Back pockets are reinforced for durability.